Homepages were once the ultra-authoritative one-stop shops of online brands. As people and search engines have become better at understanding what users are looking for, though, the purpose of homepages has become more targeted. 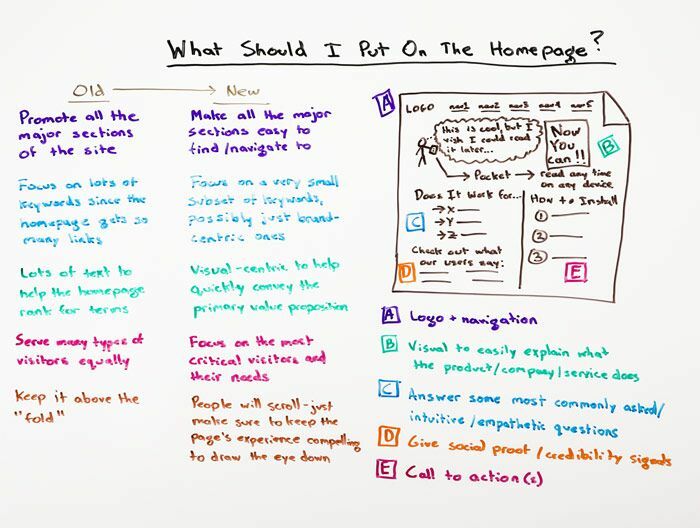 In today's Whiteboard Friday, Rand details several of the changes we've seen, and offers his advice for what to include on a truly effective homepage on the web today.